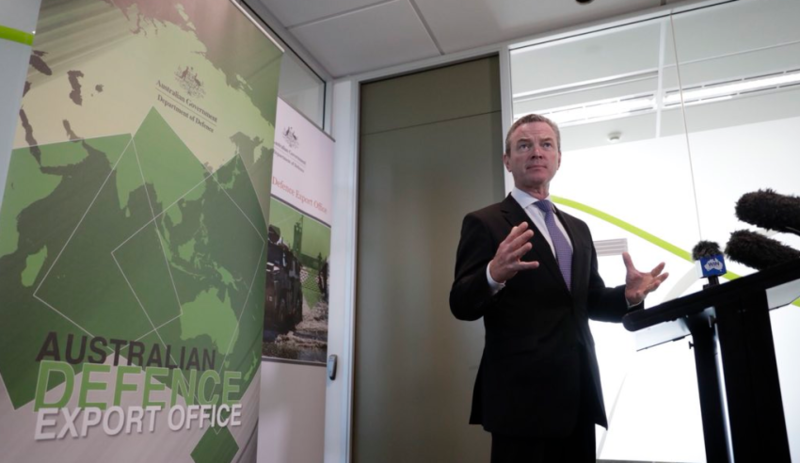 A key pillar of the recently released Defence Export Strategy has come to fruition, with Defence Industry Minister Christopher Pyne opening the new Defence Export Office. Minister Pyne said the establishment of the Australian Defence Export Office was a critical step in achieving the export success we need to support and develop the Australian defence industry of tomorrow. "The Australian Defence Export Office will provide a focal point for whole-of-government delivery of the systematic approach and initiatives set out in the strategy," Minister Pyne said. "We have a clear strategic vision for a sovereign Australian defence industry that underpins our defence capability. A defence industry that is sustainable and internationally competitive is crucial to this vision. I look forward to seeing Australian defence industry achieving greater export success, supported by the Australian Defence Export Office." The opening of the office comes just two weeks after former minister for defence David Johnston was announced as the inaugural Defence Export Advocate, another key initiative of the Defence Export Strategy. The strategy also included $20 million per year to implement the Defence Export Strategy and support defence industry exports, including $6.35 million to develop and implement strategic multi-year export campaigns, $3.2 million to enhance and expand the Global Supply Chain Program, and an additional $4.1 million for grants to help build the capability of small and medium enterprises to compete internationally.